The personal injury and product liability lawyers at Munley Law are currently reviewing claims related to serious hernia mesh complications. Lawsuits against the makers of hernia mesh claim that the product has an abnormally high failure rate. As a result, patients all over the United States have experienced chronic pain, bowel obstruction, and other complications that require additional surgeries. Thousands of lawsuits have already been filed in the United States. If you or someone you love had hernia surgery and later suffered from serious complications or had to have additional surgeries, contact Munley Law today to find out if you qualify for a hernia mesh lawsuit. Our attorneys have decades of experience handling complex cases like these against major manufacturing and medical device companies. We have achieved dozens of verdicts and settlements in excess of $1 million, and have been named among the Best Lawyers in America since 1993. We have helped thousands of individuals and families nationwide. Let us help you get the justice you deserve. Chat live, fill out our contact form, or call (855) 866-5529 for a FREE consultation. We do not collect a fee unless we win your case. Marion Munley was named “Product Liability Lawyer of the Year,” 2017, for the Allentown metro area by the legal guide Best Lawyers. Usually caused by abdominal pressure, a hernia occurs when an intestine or organ protrudes through a weakened muscle or tissue. Hernia surgeries are among the most common medical procedures performed in the United States; about one million annually. Hernia mesh is a medical implant used to repair the damaged muscle or tissue causing the hernia. These implants are typically intended to be permanent. 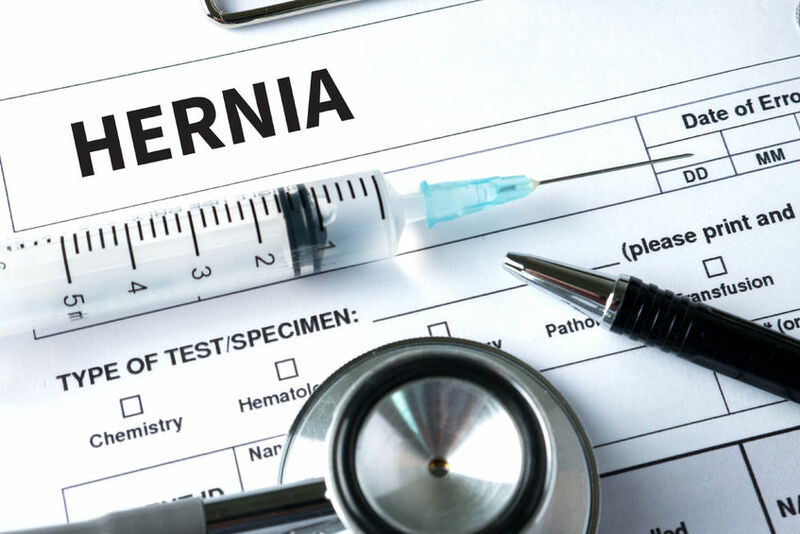 Who’s at risk for a hernia? There are many different types of hernia mesh in use today, the most dangerous being composite mesh, which has a polypropylene coating. If you suffer any of the above complications related to your hernia surgery, you may be able to sue for significant damages. If you experience any of these symptoms after a hernia surgery, or suspect that something is not right, talk to your doctor. Then, consult with a hernia mesh lawyer. The FDA and various manufacturers have recalled a number of harmful hernia mesh products or halted their production, though others remain on the market. For the latest list of recalled products, visit the FDA List of Devices. In 2006-2007, the FDA announced a recall of eight different “Kugel” hernia mesh patches made by C.R. Bard. In May 2016, Johnson & Johnson’s Ethicon voluntarily recalled their Physiomesh Flexible Composite Mesh product. More products have been recalled in years since then. A hernia mesh lawyer will help you determine which brand of mesh product was used in your surgery, and whether or not that product was subject to recall. To date, more than 2,000 hernia mesh lawsuits have been filed in the U.S.
Plaintiffs’ lawyers allege that the makers of these defective products caused patients harm, failed to properly test these products, and failed to issue warnings about the potential risks. Furthermore, these companies may have intentionally hid the risks associated with their products or mislead the medical community about their effectiveness. A hernia mesh attorney will hold the makers of this defective product accountable for the devastation they have caused. In addition, we can help you recover compensation for your medical bills, lost wages, additional surgeries, pain and suffering, and other related costs. Product liability cases involving medical devices are extremely complex matters. Your case will require thorough investigation and review of medical records to prove your case. This is why it is essential that you have the right representation. Not all personal injury lawyers have the experience, resources, or the depth of knowledge necessary to handle these types of cases. At Munley Law, we work closely with a network of industry experts, including investigators, engineers, other attorneys and medical professionals. We utilize state of the art technology and spare no expense in building a rock-solid case on your behalf. For more than 50 years, we have set the standard in personal injury law. Let us put our skills and experience to work for you. If you or someone you love suffered from complications after a hernia surgery, call Munley Law today for a free consultation. There is no obligation – we will simply answer any questions you have, review the details of your situation, and help you determine what to do next. Should you choose to retain us, we will not collect a fee unless we win your case. This way, you pay nothing up front or out of your own pocket. Chat live, fill out our email form, or call (855) 866-5529 today.